Last month was my 2nd time photographing the Jewish Veterans of World War II at the Saban Theatre in Beverly Hills. You can see my images from their 75th Jubilee here and here. It was an honor to be present amongst so many heroes who think of themselves as ordinary men who were just doing what needed to be done. This is the tip of the iceberg. There are at least 50 more portraits that I’ll be posting over the next month or so. I had some time to think about how I wanted to do the set up for these portraits. Wanted a totally different feel with a bit of nostalgia. 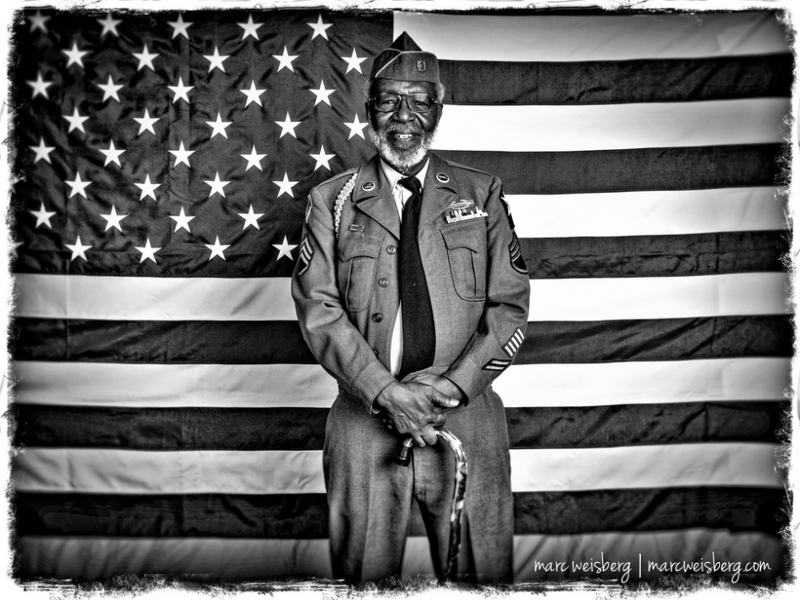 So, I purchased an 8’x12′ American flag and used that as a backdrop, then toned the images and added a vintage border. I’m enjoying the feeling of these much more than my last set. In attendance, that evening for the entertainment portion of the gala was the legendary Pointer Sisters. Amazing concert. Had no idea that they had so many hits. I’ll also be posting some amazing images of the Point Sisters too.